Mysterious Galaxy is proud to be partnering with Adventures by the Book for an exciting off-site event with author Jill McCorkle in San Diego. Your Adventure includes a gourmet boxed lunch, beverage, a brief presentation by ElderHelp, book discussion, Q&A, author signing, and an opportunity to meet the author up close and personal. If you choose to purchase the book in addition to attending the event, Adventures by the Book will make a matching donation to ElderHelp. For reservations and information, please visit the Adventures by the Book website. If you cannot attend the event, but would like a signed copy, contact the San Diego store, at (858) 268-4747. Life After Life is filled with a sense of wonder at our capacity for self-discovery at any age. And the residents, staff, and neighbors of the Pine Haven retirement center (from 12-year-old Abby to 85-year-old Sadie) share some of life’s most profound discoveries and are some of the most true-to-life characters that you are ever likely to meet in fiction. Jill McCorkle is the author of nine previous books—four story collections and five novels—five of which have been selected as New York Times Notable Books. The recipient of the New England Book Award, the John Dos Passos Prize for Excellence in Literature, and the North Carolina Prize for Literature, she teaches writing at North Carolina State University. Life after Life is a profoundly beautiful exploration of life and death through the most true-to-life characters one is likely to meet in fiction: the residents and staff of Pine Haven Retirement Center Fulton, North Carolina. Jill McCorkle has always been interested in probing the lines between fiction and reality, and between tragedy and comedy. With this novel, she charts the precarious line between life and death, the split moment when the reader is aware of both places at once. Life After Life (Shannon Ravenel, $24.95), Jill McCorkle’s first novel in seventeen years, is alive with the daily triumphs and challenges of the residents and staff of Pine Haven Estates, a retirement facility, which is now home to a good many of Fulton, North Carolina’s older citizens. McCorkle puts her finger on the pulse of every character’s strengths, weaknesses, and secrets. And, as she connects their lives through their present circumstances, their pasts, and, in some cases, through their deaths, she celebrates the blessings and wisdom of later life and infuses this remarkable novel with hope and laughter. 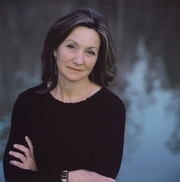 Jill McCorkle is the author of nine previous books, five of which have been selected as New York Times Notable Books. The recipient of the New England Book Award, the John Dos Passos Prize for Excellence in Literature, and the North Carolina Prize for Literature, she teaches writing at NC State University. Set in the retirement facility of Pine Haven Estates, Jill McCorkle’s novel Life After Life explores the lives and in some cases the deaths of the Pine Haven staff and residents. She also celebrates the blessings and wisdom of later life, and infuses her remarkable novel with hope and laughter. Mail your tax forms early, and come to a discussion of Jill McCorkle’s latest novel, Life After Life. (McCorkle will be at Malaprop’s on April 22 at 7pm for a reading and booksigning.) E-mail amarshall@mountainx.com to join this bookclub; space is limited. Jill McCorkle s first novel in seventeen years is alive with the daily triumphs and challenges of the residents and staff of Pine Haven Estates, a retirement facility, which is now home to a good many of Fulton, North Carolina s older citizens. McCorkle puts her finger on the pulse of every character s strengths, weaknesses, and secrets. And, as she connects their lives through their present circumstances, their pasts, and, in some cases, through their deaths, she celebrates the blessings and wisdom of later life and infuses this remarkable novel with hope and laughter. Jill McCorkle is the author of nine previous books—four story collections and five novels—five of which have been selected as New York Times Notable Books. The recipient of the New England Book Award, the John Dos Passos Prize for Excellence in Literature, and the North Carolina Prize for Literature, she teaches writing at North Carolina State University and lives in Hillsborough, North Carolina. Jill McCorkle's book Life After Life was available from LibraryThing Early Reviewers. Jill McCorkle is currently considered a "single author." If one or more works are by a distinct, homonymous authors, go ahead and split the author. Jill McCorkle is composed of 3 names. You can examine and separate out names.